The Charity has a maximum of about £4,000 available each year to distribute in grants to help local people who are in need, hardship or distress. The trustees are NOT allowed to make grants directly to relieve rates, taxes or other public charges, nor can they commit themselves in advance to repeat any help they give. The trustees do not make loans. 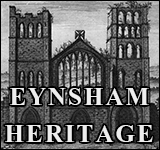 There is no age qualification for a grant, but people receiving a grant must be resident in the “Ancient Parish of Eynsham” which covers all of the present Parish and part of Freeland also. However, there is a provision in the rules of the Charity which enables grants to be made in exceptional cases to people who are resident immediately outside the area of the Ancient Parish, so anyone living anywhere in Freeland should feel free to apply. in circumstances where the cost of providing the necessary help will be high, as part of a shared effort with other similar organisations, like the Royal British Legion, SSAFA, etc.